Yay! Today is the day Little Mix released their fifth studio album. I’ll give you a review on the Super Deluxe Edition. The album represents girl power, which is why there are only woman featured on this album. First of all I must say; how awesome do the book and CD look? 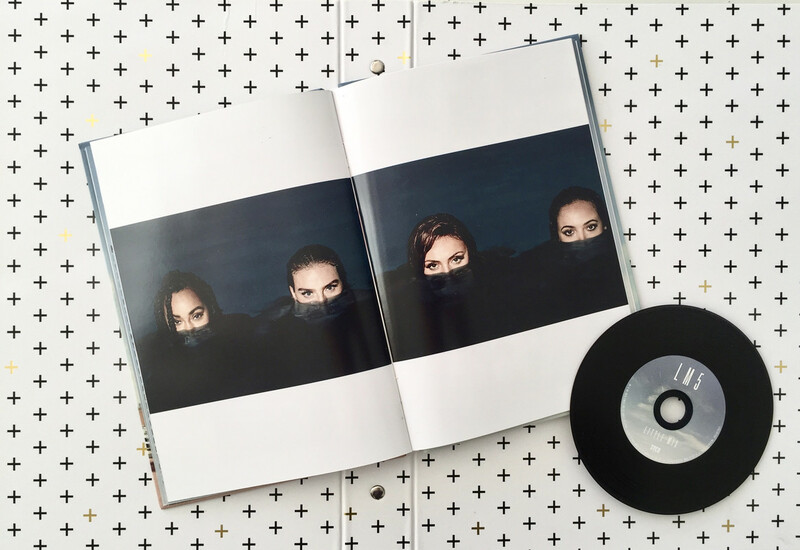 The Super Deluxe Edition of LM5 contains: 1 CD, a 28 page hardcover book and lyric cards. A beautiful intro where the girls show off their harmonies. This song was released a while ago and became #1. It has a reggae fusion to it which you will hear on more tracks. One of my favorites! A great followup for the song Woman Like Me. You stay in that reggae vibe, which I love. This song is SO powerful. It’s full of self love and all about being proud of who you are! “Take off all my make-up ’cause I love what’s under it. In this song things get slowed down a little bit. It feels like the girls poured out their hearts in this one. Yet another powerful song that represents self love. Halfway through the song the girls threw in some harmonies, that’ll give you goosebumps! Much of this song is sang together, with very few solos. A fun song to listen to with a clearly present bass. Ohhhh I loveeee the vibe to this song! It is quite laidback and also plays with that reggae fusion. A great song to sing along to. A slower acoustic song in-between all the dance bops. The chorus is beautifully sung together, how I think they sound the strongest. Also, each of the girls has a solo during the verses, while hearing soft lalala’s and nanana’s on the background. A very sweet song. Another uptempo badass song, with a strong bass to it. The girls sound very mature in this one. The lyrics is also fun to listen to. This song suits the album very well, even though it sounds quite different from the rest. It’s a true musical journey. The title suits the song perfectly, because this song makes me want to dance so bad! I love the variety between the softer parts when the girls sing a solo and the powerful choruses. The way this song is built up is great! At the beginning you barely hear any instruments, until the guitar and pumping beat kick in. Also beautiful ad lips can be heard throughout the song. I’m in love with this song. The lyrics are so inspirational. The girls sing about how they once were broken/ insecure/ unhappy, but they found the cure to happiness. A beautiful message. This song has a little Spanish vibe to it, with all the handclaps in it. Overall it sounds like a happy song, but when you listen closer it’s actually a song about heartbreak. Be prepared to cry… This song is so beautiful. For this album the girls also made an a capella version of The Cure. I absolutely LOVE to listen to their voices without distraction from instruments. This is where their vocal talents shine through. This song has been released for a while now. I must honestly say that I had my doubts about the girls making electronic dance music, but they did great. I love this song. What do you think of Little Mix their new album? The only song I have heard from their newest album is Woman Like me. I really should listen to the other songs too..